Today, we celebrate the birthdate of soldier, statesman, writer, orator, and world-changer Winston Churchill. There are so many fascinating aspects of his life to explore. He remains incredible, controversial, far-sighted, narrow, brusque, ambitious, wise, well-read, brave, stubborn, and more. He has those who are fierce detractors of his labors, but perhaps more who still admire him. He was eminently quotable and at times, the most visionary and courageous man of his age. Of the writing of books about Churchill, there is no end. Of course, in his time, he wrote quite a few books himself. He is the only historian and political leader to win the Nobel Prize for literature. Sadly, all too many studies of the man focus on the political leader and not the writer. I am not sure when I first started admiring and puzzling over this man. Through the years, I have collected dozens of biographies and quite a few of his writings. I may never get them all read, but I have no intention of ceasing to try to collect and read as many works in the area sometimes called Churchilliana as possible. Winston’s War: Churchill 1940-1945 by Max Hastings. I don’t know whether it is because I read this only a year or so ago or whether it is the sheer outstanding nature of the book, but this one is a favorite. Churchill was, above all, a man of great leadership skills. At the same time, he could blunder badly, and the Empire he was leading was pretty well tattered and worn by the mid-1940’s. That being said, this book is a fine balance of the story of World War II and this remarkable leader. 2. 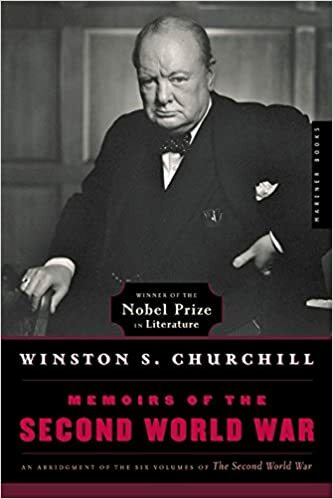 Churchill: A Life by Paul Johnson. 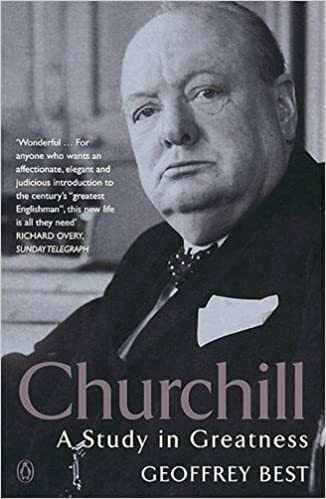 This book is a fine combination of Paul Johnson’s unique way of writing and thinking with Churchill’s fantastic life. 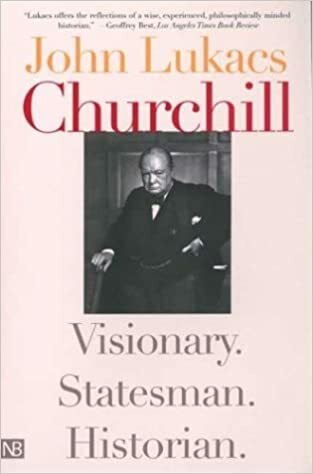 Johnson covered Churchill in his Modern Times work, but this book basically assesses the strengths and character of the man. In recent years, Johnson has been churning out short insightful biographies and this is one of the finest. 3. Winston Churchill by John Keegan. This is another short biography by a first rate military historian. I enjoyed Keegan’s discussion of how Churchill’s speeches rallied the nation. Keegan grew up in Britain during Churchill’s time. 4. Books by John Lukacs. 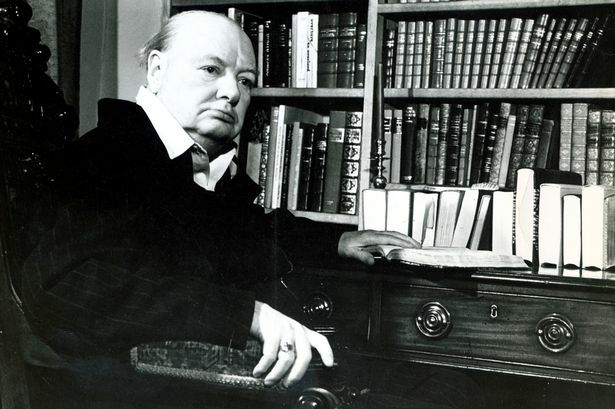 This historian has written quite a few books about World War II, Britain role, and Churchill. Any book by John Lukacs is worth snatching up, and his writings on Churchill are always good. 5. As if playing the role of the key leader of the Free World in World War II wasn’t enough, Churchill went on to play a significant role in naming and defining the Cold War. 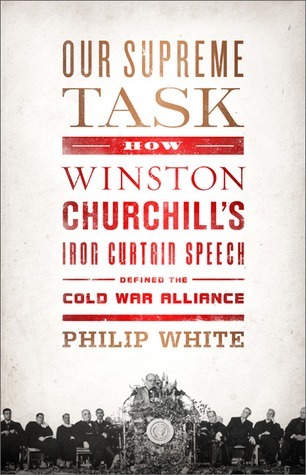 This whole book–Our Supreme Task: How Winston Churchill’s Iron Curtain Speech Defined the Cold War Alliance by Philip White–is a fascinating story of how a small, struggling Missouri college managed to get Churchill to come give a speech. That event proved to be one of the greatest events in the 20th Century. 6. Winston Churchill: The Wilderness Years by Martin Gilbert. 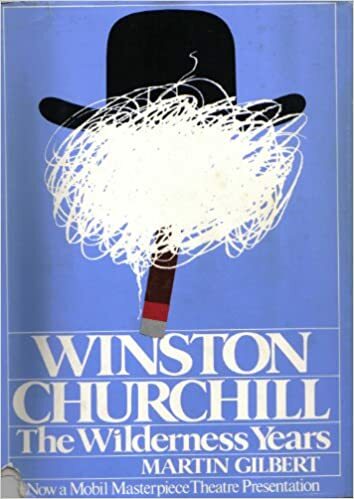 It has been years since I read this book, but I have always loved reading about the times when Churchill was warning Britain about the dangers of Nazism and was little heeded. 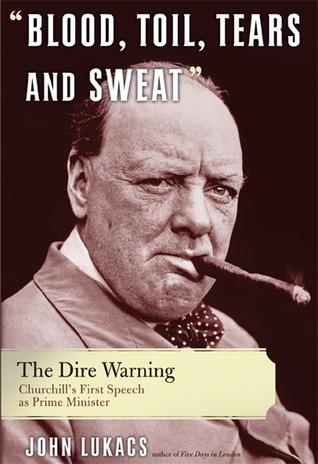 Martin Gilbert has written and compiled a number of single and multi-volume works on Churchill’s life. I have several of his works on Churchill. Among the Gilbert works is the one pictured below, simply titled Winston Churchill. It must be one of the first that I read and that must have been nearly 40 years ago. 7. 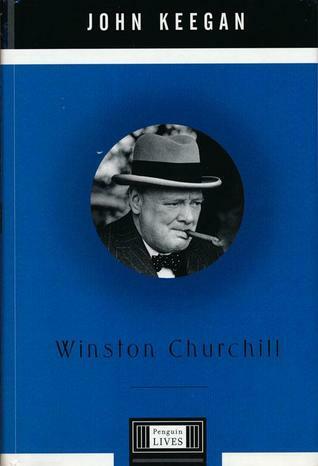 Churchill: A Study in Greatness by Geoffrey Best. This was another fine study of Churchill. While there is no shortage of works that criticize or attempt to shred the man, the subtitle of this one pretty much tells you of the author’s approach. 8. Never Give In! 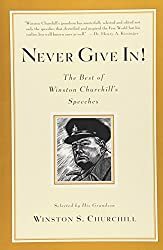 The Best of Winston Churchill’s Speeches. Of course, it is essential to have the words of those great and defining speeches. This collection is a good one. 9. Memoirs of the Second World War by the big man himself. 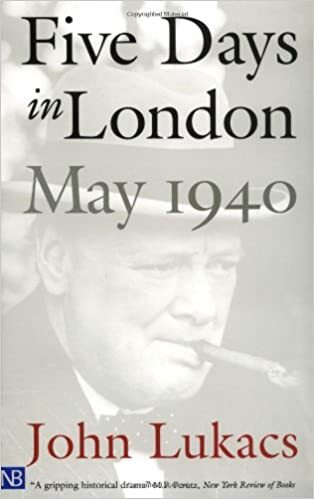 While Churchill’s multi-volume history of the Second World War might be a bit too daunting for many, this work covers the same ground in just one hefty volume. 10. The Three Volume Trilogy by William Manchester and Paul Reid. It is a shame to admit this, but also a source of hope, when I say that I have all three of these volumes but have not yet begun to read this. Since today is his 142nd birthday, I may try to get to this three much acclaimed volumes sometime for his (or my) 145th birthday. I did not have the room in my life for another compelling writer. I don’t mind more books and authors. I hope you understand that, but I did not need another one who would stare at me through the pages of his writing, who would draw, baffle, distress, please, and lure me into his world. There are too many writers that have already pushed and shoved their way into my life, leaving me little time to do much else than read them, try to think like them, teach them, and be dominated by them. Shouldn’t it be enough for there to be a Faulkner, Melville, Dostoevsky, Homer, Dante, Shakespeare, Twain, Dickens, Eliot, Frost, and Solzhenitsyn in literature? Add to that, Chesterton, Lewis, Tolkien, Greene, and O’Connor to blend literature and Christianity. Add to that a whole world of thought contained in those incredible Dutchmen like Groen van Prinsterer, Kuyper, Dooyeweerd, and Bavinck. Of course, there are the historians such as Christopher Dawson, Max Hastings, Thomas Fleming, David McCullough, and others. I won’t even bother to mention those people of whom dozens of biographies are written. The case has been made and plenty of evidence has been given. Besides, I have to focus on American and British literature with a bit of Russian literature added in. There are no openings for Frenchmen. Nor for existentialists. Nor for writers whose books exude a depressing tone. And yet, like a stray dog that shows up and woos the family, Camus has done the same with me. But it didn’t start that way. Several years back, I read James Hilton’s delightful novel Goodby, Mr. Chips. It really is a fine story and is heart-warming, full of humor mixed with a few sad notes, and a book to return to often. The old 1939 movie version of the story was quite good also. With no set goal in mind, I then read Albert Camus’ book The Stranger. Both novels were published within ten years of each other–Chips in 1934 and Stranger in 1942. Both were short works–novellas, we might say. The differences were stark, however. Chips is enjoyable, affirming, beautiful, and lyrical. It is a feel good book and is well written. Maybe it is the school teacher in me (with the added fact that I was a bachelor school teacher for many years), but Goodby, Mr. Chips never fails to delight me as a book to read or remember. The Stranger left me feeling cold and empty. The world it presented was cold, meaningless, empty, and ugly. I am not adverse to a strong, bitter taste of reality in reading, but this was over the top. I rejoiced only in that it was a short novel because reading hundreds of such pages would have caused a major internal breakdown. The quote showed up in Os Guinness’ book The Dust of Death. Guinness, by the way, is always worth reading just for the many quotes, anecdotes, and literary, historical, cultural, and theological references he makes. This led to the thought: Could it be that Camus was a Christian, culturally or otherwise? Or was he one of those insightful unbelievers who sees the Christian worldview–in part–in some ways more clearly than believers? I wish I could say that I pursued those questions at that time (2013), but I didn’t. At the same time, I did not forget Camus either. The next actual step was when I got a set of books called The Nobel Prize Library. I really wish this set would be redone and updated with a special first edition sent to me free of charge. The set came out in 1971. Each volume consists of selections by two or three winners of the Nobel Prize for Literature, along with the Nobel Prize addresses each made. 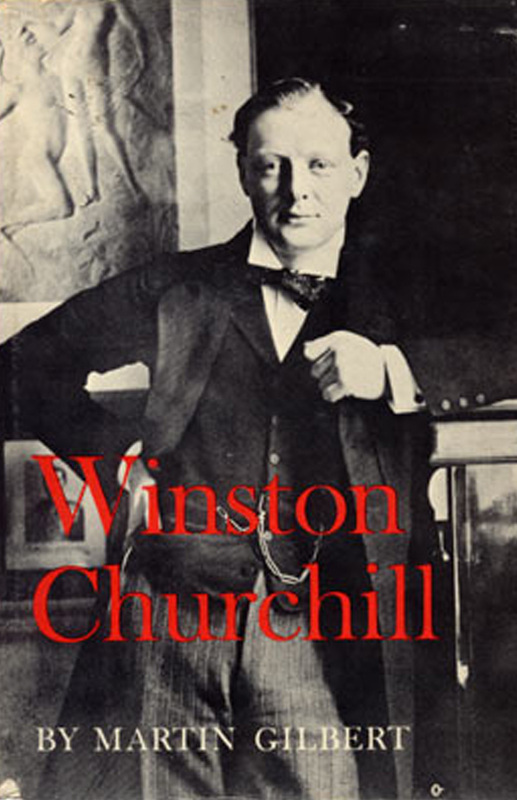 One of the volumes combines Camus (who won the prize in 1957 when he was only 44 years old) with Winston Churchill, who won the prize in 1953. In the spring of this year, I pulled the volume down and began reading the speech and the selection, which is Camus’ novel The Plague. 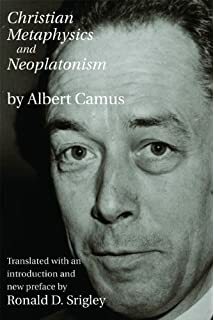 My next task was tackling a book titled Christian Metaphysics and Neoplatonism by Camus. This work was done as a part of Camus’ studies to receive a Master’s Degree. He was young and his ideas were still forming and the writing was technical. He covers the topics of Evangelical Christianity, Gnosticism, the contributions of Plotinus, and then the work of Augustine. The key issue is the confrontation of the Greek worldview with Christianity. I must confess this about my first reading: I felt like I got pushed into the deep end of the pool. I thrashed around a bit and finally made it to the side where I could hold on. It took a second and more careful reading to begin appreciating this book more. First, the issues that Camus confronts are central issues to all of life and thought. The interaction of the Greek world and thought with that of Christianity is one of the great battles for the mind of all times. If, as has been said, all philosophy is but footnotes to Plato, then it is vital to see not just how the old dead white guys running around the beaches of the Mediterranean thought, but how such thinking still impacts us. Christian thinkers such as Herman Dooyeweerd and Cornelius Van Til (both contemporaries with Camus) dealt with Greek thought. The Christian runs into it on every page of the New Testament. So, whether Camus’ treatment is adequate or useful, it must be noted that he was dealing with the issue for the thinking Christian. Second, the book is worthwhile reading for all students of Camus and modern literature. While much might be said in criticism of modern literature–and I am thinking primarily of the post-World War I writers–they came out of the last phases of classical education. They were in line with the great traditions and saw themselves as the heirs to the Great Conversation, to use Mortimer Adler’s world. These writers (meaning, men like Camus and T. S. Eliot, William Faulkner, James Joyce, and others) may appear as being rootless, undisciplined, and overly cynical people, but they worked with care and precision. They knew the Greeks, the knew the Church Fathers, they knew the literary canon, and if they rebelled, it was on the basic of knowing and disagreeing rather than on the basis of ignorance. 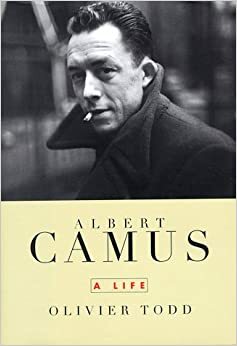 This edition has ample footnotes that connect things Camus says with his essays and novels. As one who is working on my Camus Kindergarten certificate, I can only nod and hope to look up the passages later. The point is that Camus’ thoughts here are later brought out in his fuller works. Was this just a profound sounding bit of muffle and puffle? Is this just another version of “Truth is the sound of one hand clapping” or other such idiocies? I think not. I think Camus was a rootless and faithless man who experienced bad health, brilliant thinking, and World War II in occupied France. As current Nobel Prize winner Bob Dylan said or sang, “Counterfeit philosophies have polluted all of your thoughts….” But, to borrow from Dylan again, Camus always seemed to be wanting to wake up to what was real. He was a searcher and a seeker. In recent weeks, I have picked up copies of The Fall (a novel) and Resistance, Rebellion, and Death (essays) and a biography of Camus by Oliver Todd. I’m afraid I’m hooked. I don’t have time for this, and who will ever pay me to talk to them about Camus? But here I go nevertheless. 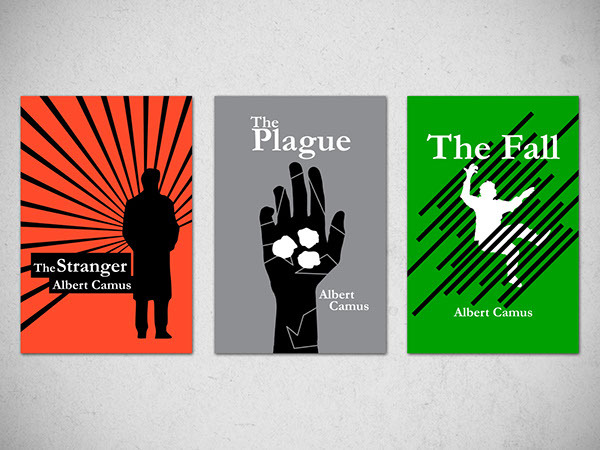 The Stranger, The Plague, and The Fall are the three most widely read and discussed works by Albert Camus. All are short novels. 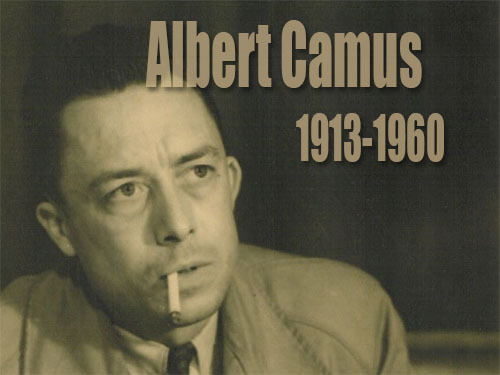 Some describe Camus as a philosopher who wrote novels, while others say he was a novelist who wrote philosophy. He left quite a few volumes of essays. The very title here describes the darkness many see in his and other Existentialists’ works. 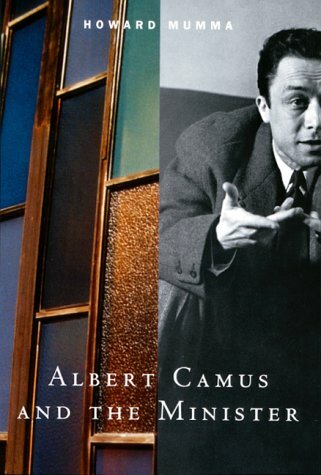 This is one of several available biographies of Camus with the most iconic picture of him on the front. I find many of his pictures very expressive and friendly, unlike the distance many writers seem to have in their photographs. This past summer, I began my Wall of Shame Reading List. This is a listing of books that any educated person should have read. These are books that ought to have been read in junior high (maybe), or high school (more likely), by college graduation (certainly), and in the post-college years (definitely). These are books that should have been required by my employers. These are titles that any teacher in a classical Christian school should have read, reread, and taught. And yet, these are titles that I, in this most brazen, shocking, and revealing list, shamefully admit that I have not previously read. I have the list written down with additions being made to it often. It is highly guarded, and even Julian Assange and the Russians cannot get to it, although both have tried. I am only revealing the titles as I either get well into the books or have completed them. 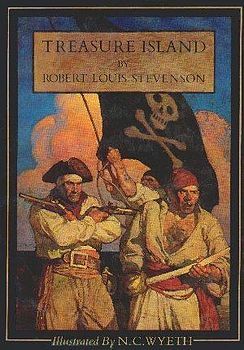 My first entry was Treasure Island by Robert Louis Stevenson, and I can now rest at ease knowing I have read it. 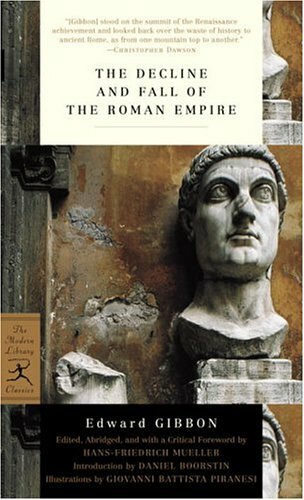 My second entry was Edward Gibbon’s Decline and Fall of the Roman Empire. I have given myself a year to work on this massive book. Although, it has been pushed aside in recent weeks, I have made it well into this long trek of Roman history. I am not concerned as long as I keep knocking out a chapter here and a chapter there. My latest entry and completed work is Heart of Darkness by Joseph Conrad. The edition that I read consisted of both Heart of Darkness, a novella, and “The Secret Sharer,” a short story. I first read “The Secret Sharer” in high school. I kept remembering a picture in the high school literature book as I was reading the story recently. I don’t remember caring for it then. It is possible that I read Heart of Darkness in college. If I did, it certainly didn’t make an impression. Since I am so lacking in understanding these two Conrad works, it is fair to count them as my latest Wall of Shame triumph. Let me say a bit about the reading experience. Joseph Conrad’s writing eludes me. I read one of his works just a few years back twice to understand it. That work, in the edition I read is called The N-Word of the Narcissus. That edition was produced by my e-friend and Christian scholar Ruben Alvarado. He published the work with the modified title in order to get people to read and use the book which is often pushed aside because of the offense of Conrad’s title. Some criticized Alvarado for making the change and accused him of censorship. That was wrongful because the book is still in print under the original title, just as epithet used to name Jim in Mark Twain’s Huckleberry Finn and Flannery O’Connor’s story “The Artificial N-Word” (my modification) are available without change. I reviewed The N-Word of the Narcissus along with Melville’s brilliant short book Billy Budd in a previous review found HERE. Heart of Darkness appealed to me because it is highly regarded as great work. The very title calls attention to the great Christian truth of man’s sinful heart. And, it is a short work of some 70 pages in the edition I read. I have heard that it is frequently assigned in high school or college classes, although I don’t recall hearing anyone talk about the book. After reading the book, I learned that it is listed as #67 on the Board’s listing and #43 on the Readers’ listing Modern Library Best 100 Novels. In starting the book, however, I made a major beginning blunder. I read from the book after I finished all my other evening readings. Contrary to myths–perpetrated by both friends and enemies–I don’t read all the time. I am glad if I can get to bed early enough and stay awake long enough to read for an hour. Near the end of those reading jaunts, which usually include enjoyable histories and dessert readings (like espionage and spy fiction), I am increasingly sleepy and mentally incoherent. Conrad and sleepiness don’t mix. I found myself stumbling through Heart of Darkness lost, confused, bored, and uninterested. Here is a key point: When you read a book that is considered a classic, and you don’t like it, assume very humbly that you–and not the book–are the problem. I kept asking myself how this work could possibly be assigned to high school students. Thankfully, I finished it. I would have made a failing grade if I had been given a test over the content. So, here is the next point: I searched and found some wiser people to talk to about the book. Thanks to the Internet, you can find these people quite easily. I often look at such things as the reviews on Amazon. Granted, some reviewers are pathetic. The person who write, “i didnt finish this book because it was to boring” doesn’t get my attention. I sample a few 5 star reviews, 3 star reviews, and some half-way intelligent 1 star reviews. Sometimes, the 1 star reviewers convince me of the worth of a book because of the reasons for their dismissal of it. After I scanned what the readers had said on those two sites, I went to some on-line summaries. I love Spark Notes. I have never understood how they could be read in lieu of reading a book, but I love them as checks and clarifications on what has been read. I usually focus more on the description of what has happened in the book rather than the analysis. Back to Heart of Darkness. I read the book and didn’t understand it. I followed up that failed reading with then going to the story “The Secret Sharer,” which I thoroughly loved. Two possible problems were eliminated: The problem was not that I could not read and understand Conrad, nor was it that Conrad was unreadable. So, I was ready to pick Heart of Darkness back up. The first reading had acquainted me with much that I was now reading in the book. The on-line sources helped me get some part of the plot and the characters straightened out. Reading while I was alert was a key factor in my second reading. I will add another distraction. During the first reading, I was also trying to get into another difficult book. Two frustrating books at one time does not make for a good combination, so I put the second book aside. Upon finishing Heart of Darkness, I am able to concur that it is a rich, deep, still challenging, but good book. In no way am I finished with the book. I still have two major Conrad books that I simply must read at some point. Conrad himself still has not achieved a ranking among my favorite authors. I don’t know enough to know whether the fault is Conrad’s or mine–although I suspect the latter. In the book Why Read the Classics, Italo Calvino says, “A classic is a book that has never finished saying what it has to say.” The discussions on Heart of Darkness focus on such issues as civilization–with the surprising similarities between the darkest most unsettled regions of Africa and civilized England. Perhaps the book is a critique of imperialism, which may be a past phenomenon but yet remains and impacts our world in other ways. Perhaps it is more a psychological study of human nature and the heart itself. The question remains of why Mr. Kurtz could be so talented a man and one with so much potential who yet has a heart of darkness. The journey down the river in that book certainly seems to echo the journey we are all on. I sense another reading–sometime later–of this short, but rich book.